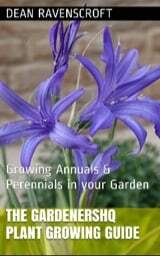 Members of the Ixiolirion genus can be grown as either hardy bulbs or annuals in the garden. They reach from 30 to 40 cm in height and carry delightful funnel shaped flowers of blue. Their size makes them good plants for rock gardens use to fill in the gaps of dry stone walls. 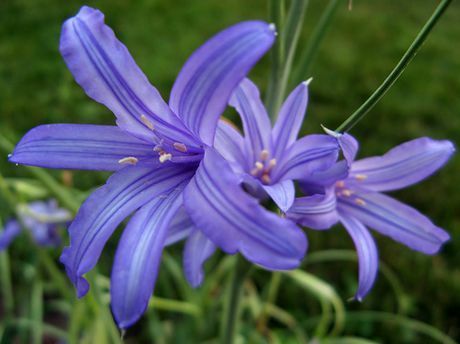 Some of the common names for Ixiolirion include Tartar Lily, Siberian Lily and Lily of the Altai. Ixiolirion by Knoxilla; Creative Commons. Life Cycle: Hardy bulb commonly grown as an annual by gardeners. Height: 15 to 20 inches (38 to 50 cm). Northern America: Annual: zones 3 to 6. Perennial in zones 7 to 10. Flower Details: Blue, purple. Funnel. Sword shaped petals. Seed: cover seed. Just before the last frost. Spacing 4 to 5 inches (10 to 12 cm). Bulb: bury 5 inches (from bulb base). Plant in spring, or in autumn in warmer areas. Sow Inside: Germination time: one to three months. Temperature 50°F (10°C). Two to three months in advance. Transplant outdoors following the last frost. Requirements: Full sunlight. Good drainage. Dry soil. Sandy soil. In spring add a top dressing of manure. Bulbs cannot survive temperatures below 23°F (-5°C) bring indoors in cold area once leaves have wilted. Propagate: Plant offsets. Miscellaneous: Can take up to four years for seed grown Ixiolirion to flower. 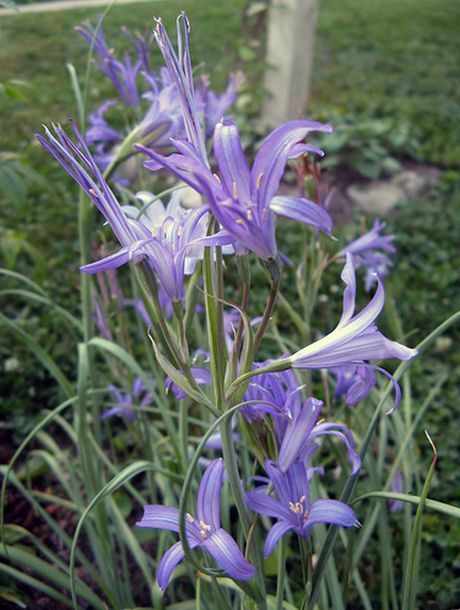 The bulbs of tartar lilies (Ixiolirion Plants) should be buried about 5 cm deep and at 10 cm apart in the spring; into a sunny part of the garden. Ideally the soil should be dry and sandy. If you are growing Tartar lilies and other Ixiolirion species members from seed then sow on the surface and lightly cover the seed; this should be done before the last frost of spring. If you are first planning to grow Ixiolirion indoors then they should be started about two to two and a half months before putting out (following the last frost of spring). Tartar lilies will take from one to three months to germinate at a temperature of 10 degrees centigrade. Once growing it is necessary to apply a top dressing of manure in the spring. In very cold areas bring the bulbs of Ixiolirion indoors and store in a cool dry place through the winter.